Appeal unemployment benefits because it generally does not cost any money, right? Believe it or not, unemployment benefits in Minnesota are far to valueable to rely on hope. Generally, the issue is deterinng the appeal process, gathering the right kind of evidence, and using the law to win an appeal hearing. As an unemployment lawyer, my goal is to educate and inspire a conversation with applicants seeking help. I believe the best way to approach the various postings is to understand the type of appeal being sought. This includes: (1) phone appeal, (2) reconsideration, (3) an appeal to the Minnesota Court of Appeals, and (4) and appeal to Minnesota’s Supreme Court. Another important concept to consider when reviewing these postings, is Minnesota unemployment statute 268.105. The reason this law is important is because it addresses parts of the appeal process. Thus, please gab a cup of coffee, review my work and share with others. Additionally, I hope you find time to contact me one-on-one. Why are the Unemployment Appeal Statistics Posted for Minnesota Wrong? 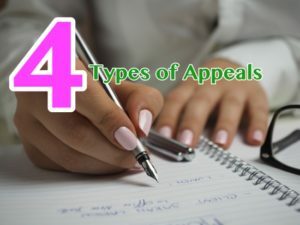 4 or 5 Different Types of Unemployment Appeals? Did Ransomeware for Unemployment Just Get Real? Do You Know the First rule for Unemployment?